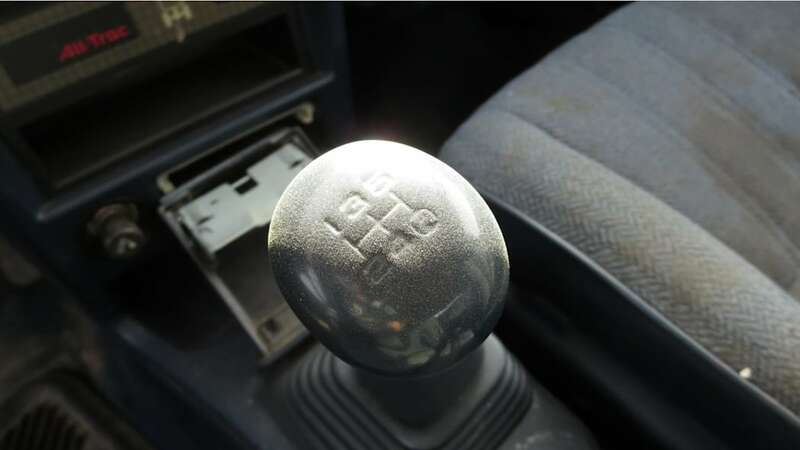 It was only 778 miles from a quarter-million when it came to this place. 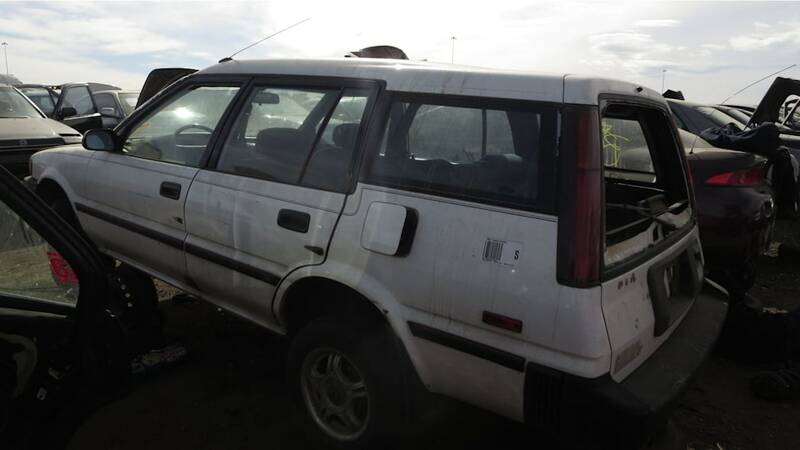 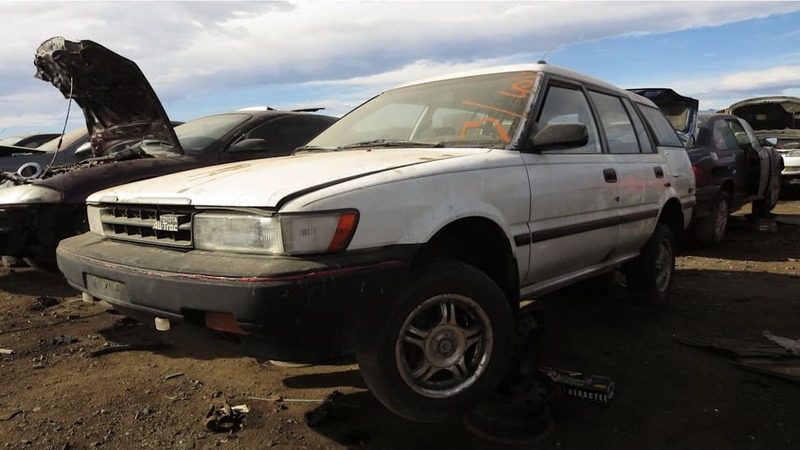 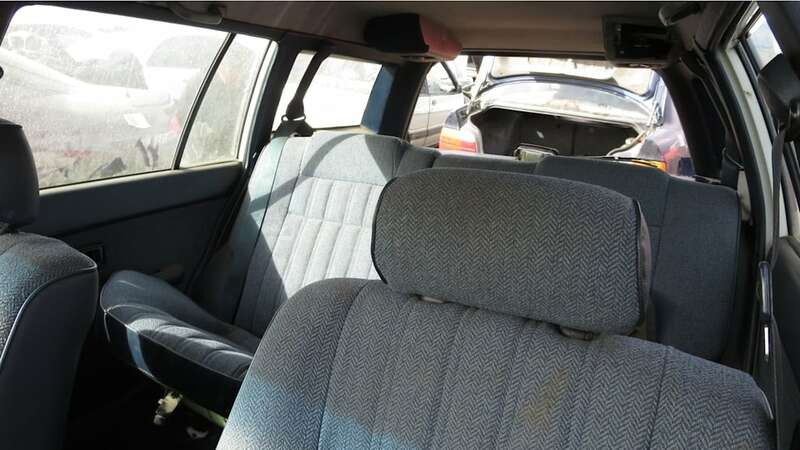 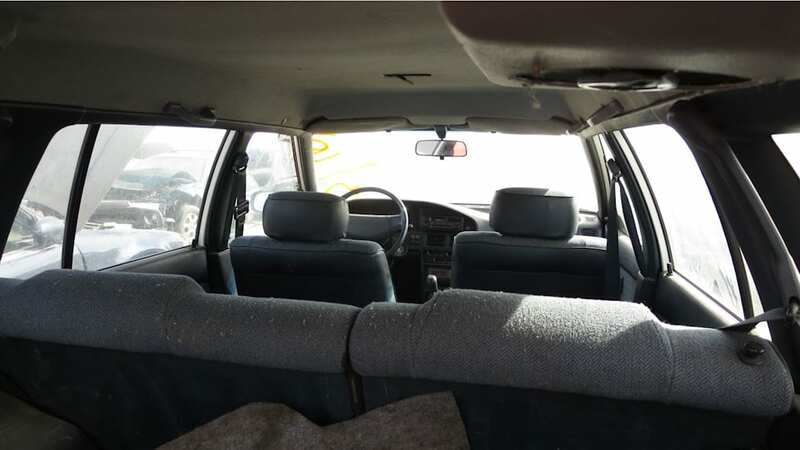 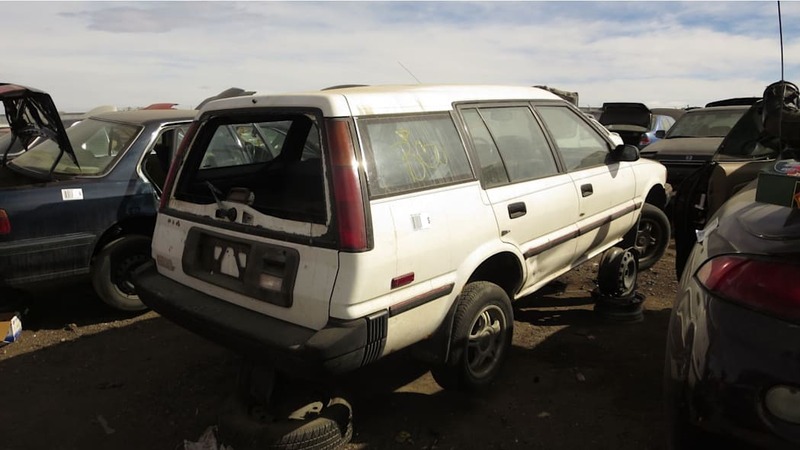 Since we're on something of a roll with 1980s Japanese four-wheel-drive station wagons in Colorado wrecking yards, let's continue with this extremely sensible 1989 Corolla All-Trac wagon. 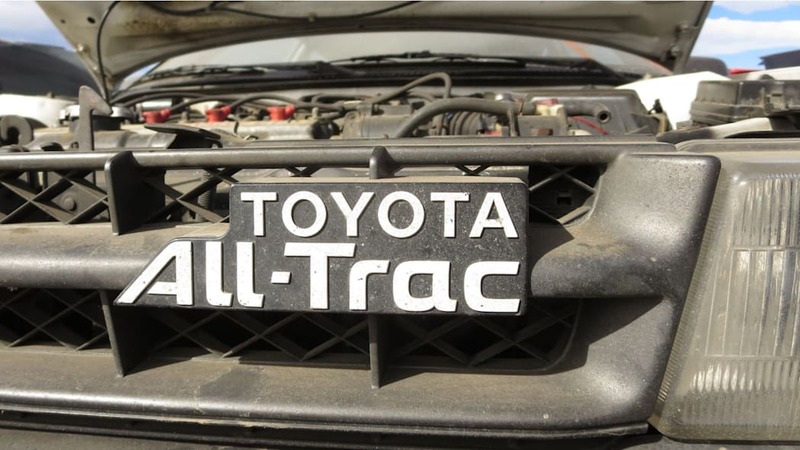 Like most Corollas during the last half-century, these cars weren't terribly exciting to drive but got the job done in a very competent manner and lasted for decade after decade. 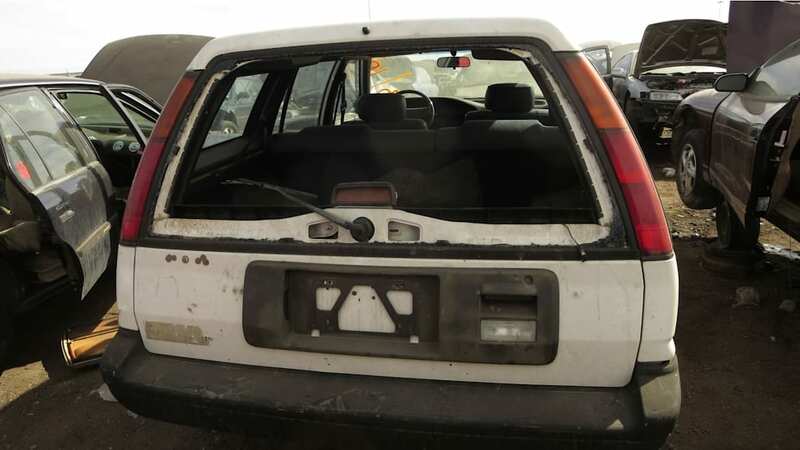 Here's a quarter-million-mile example I found last week in a Denver self-service yard. 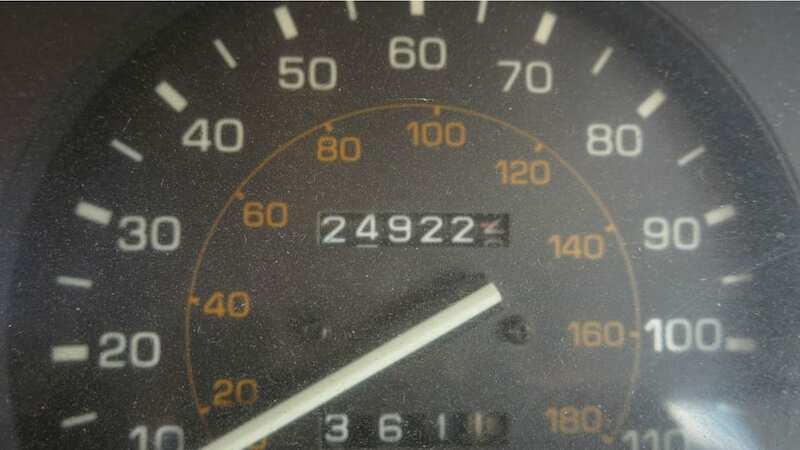 Not quite a quarter-million miles, in fact, but tantalizingly close. 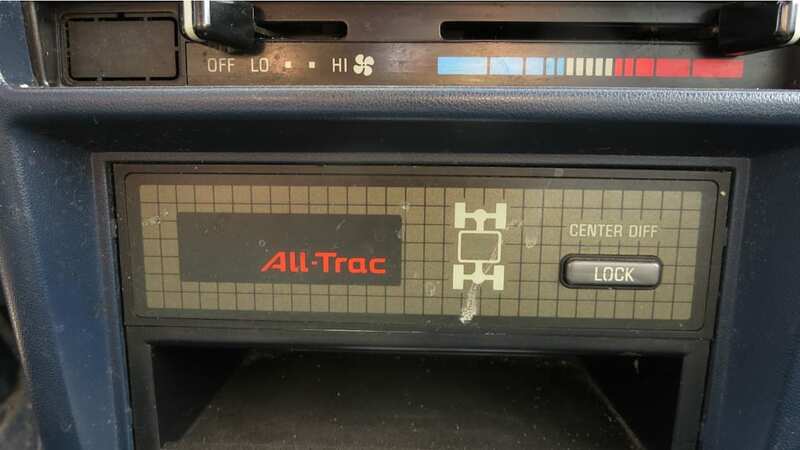 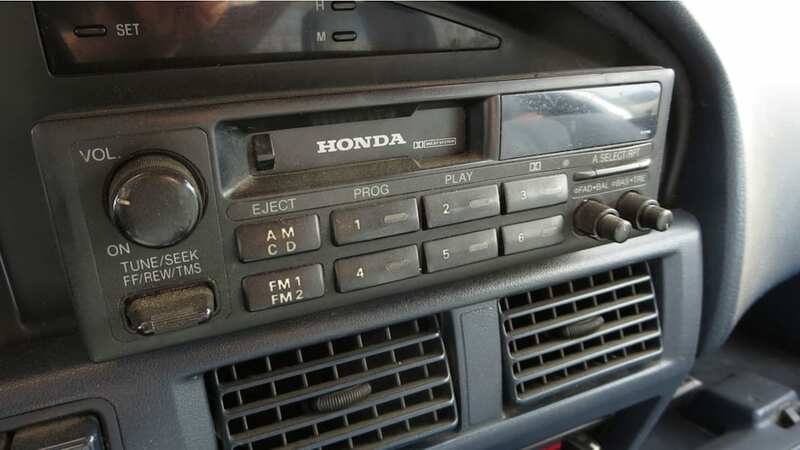 The All-Trac system had a center differential that could be locked via this dash-mounted switch. In unlocked mode, most of the power would go to the front wheels; when locked, All-Trac would split the power 50/50 between front and rear wheels. 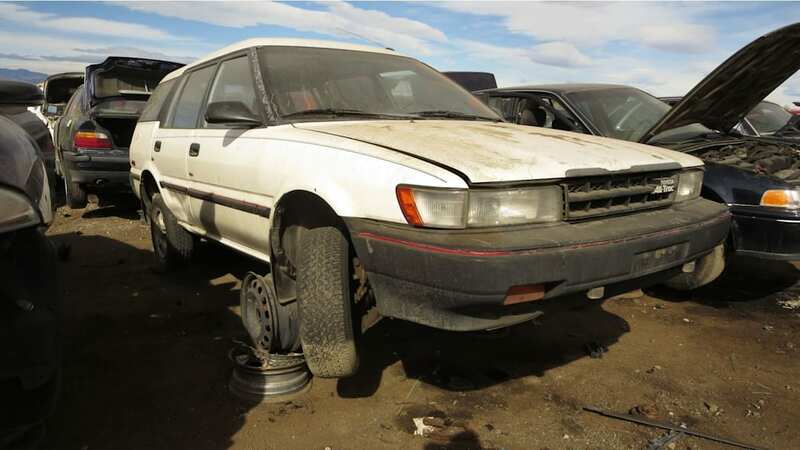 The system was available on Camrys, Celicas, Previas, and RAV4s, but the Corolla wagon was the most popular All-Trac recipient in the United States. 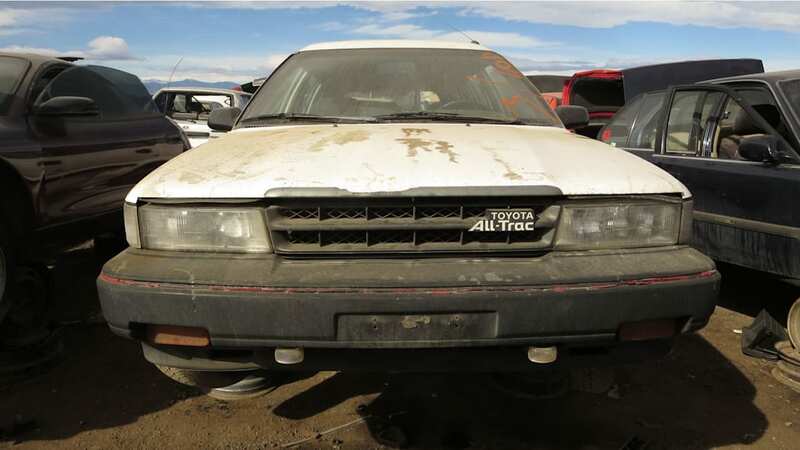 If you like really rare cars, keep your eyes open for a Corolla All-Trac sedan; they exist (in theory). 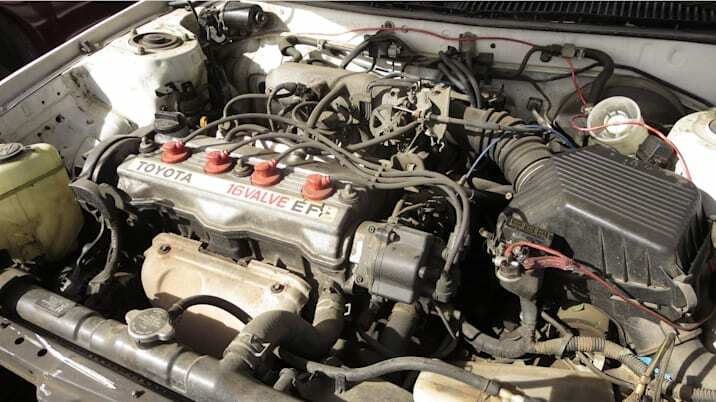 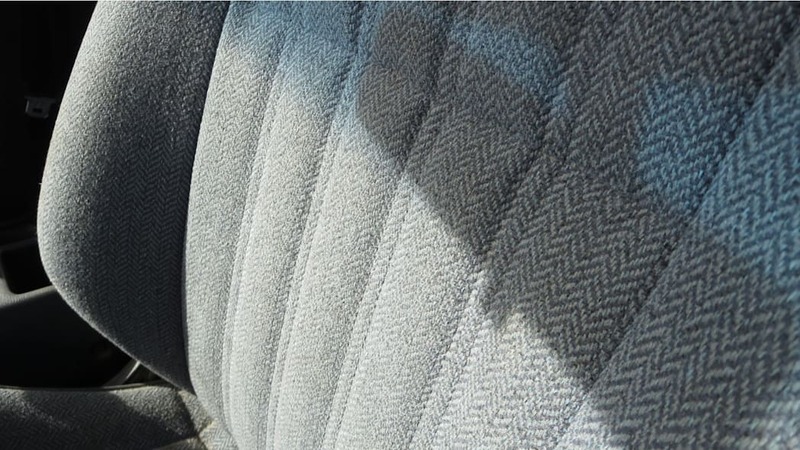 This car came with a 4A-FE engine rated at 100 horsepower; an automatic transmission was available, but most of these cars (including this one) were purchased with 5-speed manuals. 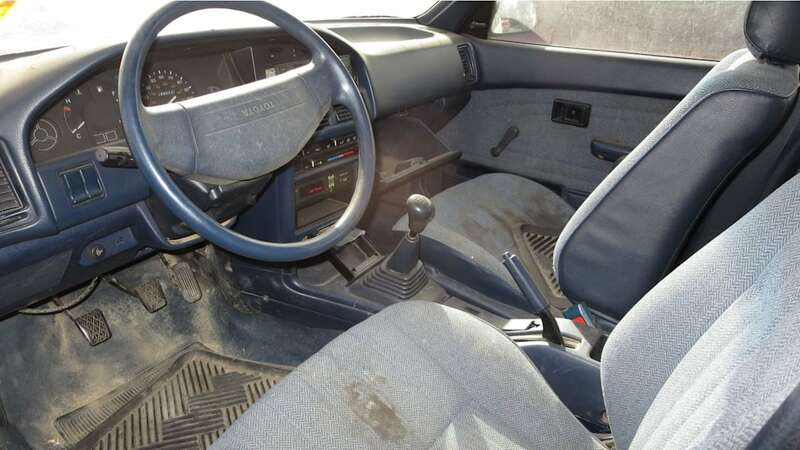 Just like skiing on tracked rollerblades!